With outsourcing becoming one of the fastest growing industries today, India and Philippines are boasting a steady growth in this sector, with 10% of the global market share. While robust IT-BPO sector and growing talent pool have made India an attractive destination for global investors, Cebu City, Philippines, on the other hand, has emerged as one of the best outsourcing destinations in the world due to its quality of workforce and lower operational costs. Outsourcing interest in these countries has been growing at a constant rate year on year and this is expected to continue this year too. Along with a buoyant economy, outsourcing providers in India are adopting cost-effective workplace strategies, keeping this country on the radar of numerous multi-national corporates who are planning to expand their operations. Similarly, some of the world's leading companies are also looking towards Philippines as a suitable outsourcing partner due to its rapidly improving infrastructure and investment-friendly environment with lower real estate rates. Let us now take a look at what both of these nations have to offer and discover which one of these make a better outsourcing choice. What Makes Cebu City a Preferred Outsourcing Destination? What Attracts Global Investors to India? India or Cebu City - What Makes a Better Outsourcing Destination? There is no doubt that Cebu City, as well as the Philippines has grown at a massive rate over the past couple of years. The availability of skilled workforce, stable infrastructure, supportive government, flexible scalability, and efficiency has helped this country to rise to the second spot in the most preferred outsourcing destinations in the world after India. India, however, makes a better choice for technology outsourcing projects, Cebu city makes a great choice for call center outsourcing. Yet again, India outperforms Cebu, when it comes to sales-oriented call center services. Both the nations have their own set of pros and cons when it comes to providing outsourcing services, and it is the duty of the outsourcing company to evaluate these factors and make the decision accordingly. Outsource2india has been a leading outsourcing service provider to global clients for over 20 years, capable of catering to any kind of outsourcing project. Our delivery centers are spread across the globe in different time zones including India and Philippines. This simply means that by partnering with us, you can outsource your requirements to any of these destinations, based on your project needs. 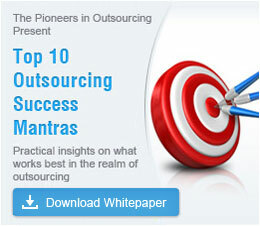 Clients can get a cost and time advantage by outsourcing to us and continue their operations 24x7. If you are looking for a reliable, cost-effective, accurate, and quick outsourcing service provider, then feel free to get in touch with us today!